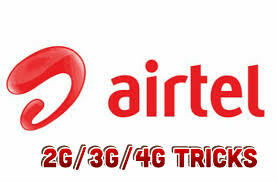 Here is the complete list of cheap Airtel data plan, price, activation codes and validity period. For Airtel subscribers looking for cheap airtel data plans 2017 and subscription codes for airtel android data plans. Its no secret that Airtel nigeria is one of the top data providers in nigeria,Airtel offers cheap and super fast internet data plans to its Blackberry , iPhone and Laptop users. This post we will share with you all you need to know about Airtel Nigeria Data Plans , Airtel subscription codes and how you can check your airtel bundle data balance. To check any of the Airtel Data plans, simply Dial *223# or *140# to check your data balance. 1.5GB for #1,000 (Android 1.0) : Get 1.5GB for #1,000 , valid for 30 days. Dial *496# to subscribe. 9GB for #4,000 (Android 4.0) : This plan is valid for 30 days. Dial *438*1# to subscribe. The plans below are strictly for chatting on social media. If you’re someone that is more productive at night , you can take advantage of these Airtel Night Plans / weekend data bundles.